ONE Global Design joined Mannington Commercial Flooring to create a new LVT Collection, INF– USED, and a carpet tile collection, INTRINSIC, in a variety of colors and patterns that are “infused with the spirit of the cities that inspired them”. ONE Design Group is represented through-out the United States, Canada and Mexico and include the following cities: Boston, New York, Philadelphia, Washington, DC, Chicago, Columbus, Charlotte, Atlanta, Dallas, Austin, Denver, San Francisco and Los Angeles; Mexico City; Vancouver, Calgary and Toronto. The direction for the collection’s patterns were reviewed at the ONE Global Design summit, which VC having been a member since 2011 attended, in New Mexico in order to be completed for the upcoming 2016 NeoCon conference. The mosaic of colors and patterns were created in order to be mixed and matched to meet your project’s vision. 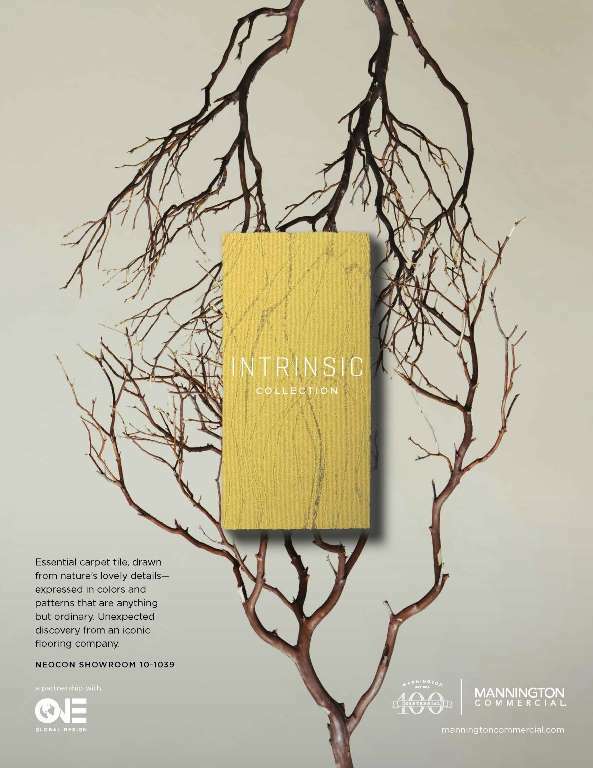 To get your first look at these collections visit NeoCon Showroom 10-1039 in Chicago from June 13th – 15th.